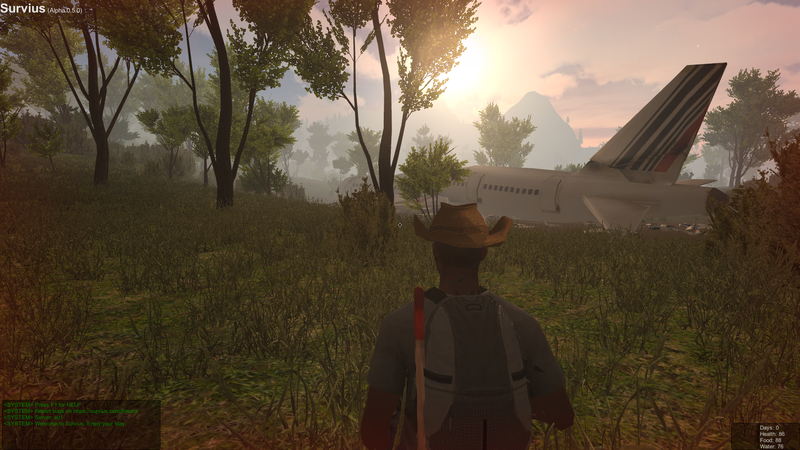 It's been too long since I posted a new article on IndieDB. A lot has changed, so I wanted to highlight the most important changes since the last time I posted here. A popular request was the ability to create multi-storey houses, and now you can! Foundations can simply be stacked on top of each other and stairs can be added to reach higher floors. The sky is literally the limit here. In older versions your health, food and water levels were displayed as a number in the bottom right corner. 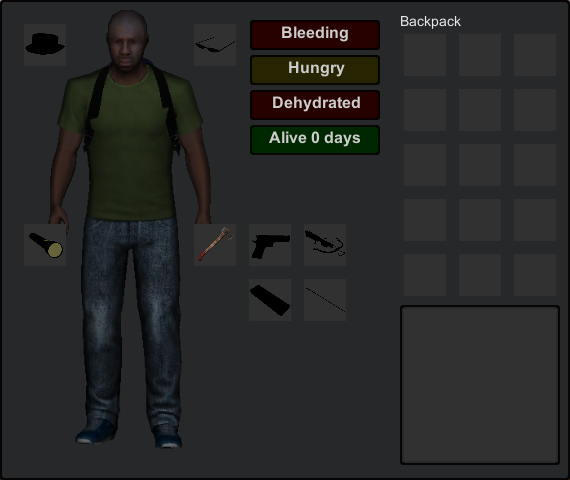 In the new version the health system is shown with 'status labels'. The different health labels are: Hungry, Thirsty, Staring, Dehydrating, Bleeding, Infected and Sick. When you build a house and add a door, you are the only one who can open that door, or update your structure. If you are playing with friends, you probably want to build your house together. This is what the clan system is for. You can create a clan and then invite your friends to join that clan. Players who are in a clan can open each others doors, update each others structures and expand each others houses. The person who founded the clan can also kick members or disband the clan. 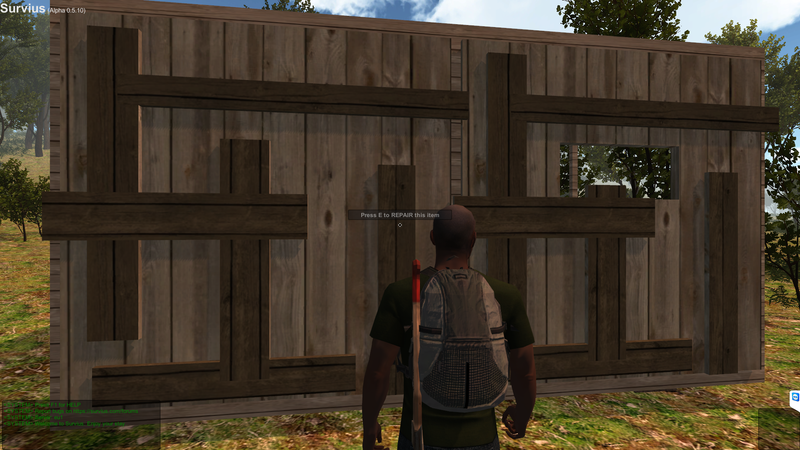 Everything you build in Survius will decay over time. But you can stop your items from disappearing by repairing them in time. In this version, decay is finally visible. An item that is 3 days away from totally decaying will get a lighter color and a repair option will appear. After repair the decay is reset. The closed bridge to the small island north of Survius has finally opened up. It looks like a civilian aircraft crashed there, which might have some good loot. Hope to see you in game soon! 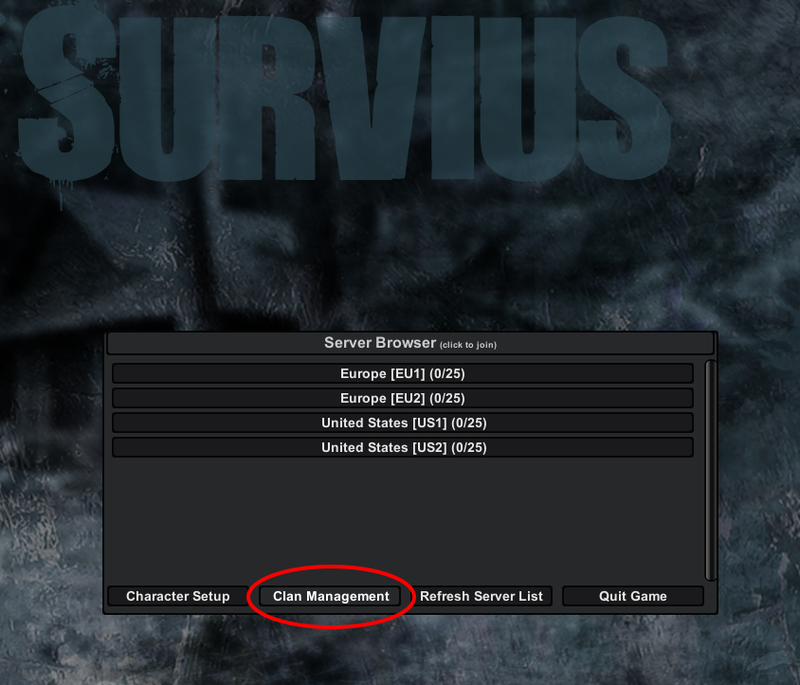 Check Survius.com for more details and downloads.